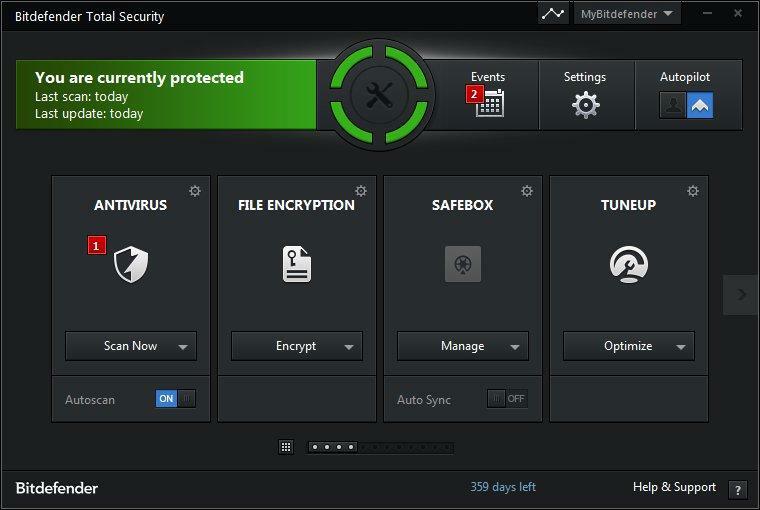 Bitdefender Total Security 2019 is the complete and uncompromising security suite of the company. The suite features the same essential features as Bitdefender Internet Security, a powerful blend of antivirus, firewall, navigation protection, parental controls, anti-theft, encryption and password management. New features include a webcam protection module that notifies you when apps are trying to access your webcam and blocks unauthorized use. “Advanced Threat Defense” is a new technology that attempts to identify suspicious processes from their behavior, protecting you from the latest malware. Safe Files modules protect selected files from unauthorized changes. For now, this is only available on Mac, but it will arrive soon for Windows. The Bitdefender firewall makes it easy for users to understand and use the module and also includes a brand new interface includes a license of 5 devices and 1 year. Bitdefender Total Security offers several layers of protection against ransomware. It uses the behavioral detection of threats to prevent infections and protects your most important documents against ransomware encryption. With Bitdefender Total Security, you can stop losing your data or money and start enjoying life. Absolute power in the most effective antivirus available to date. Bitdefender Total Security addresses all threats – from viruses, worms, and Trojans to ransomware, zero-day exploits, rootkits, and spyware. Your data and your privacy are in good hands. Webcam protection – Protect your privacy and avoid webcam leaks. Webcam Protection warns you when applications try to access your webcam and allows you to block unauthorized access. Ransomware Enhanced Multipoint Protection – You can place sensitive documents under multiple layers of protection to protect them from malicious encryption programs that require ransom from your personal files. Battery Mode – This smart and useful feature allows laptops and tablets to save battery power by temporarily changing system settings, such as display, system cooling, system updates, or Bluetooth connectivity. Anti-Theft – Bitdefender Total Security 2019 contains effective anti-theft tools for your Windows laptop or tablet, remotely accessible from anywhere in the world via your Bitdefender Central web account. Safe Browsing – Determine whether your search results can be viewed securely before clicking a link. Bitdefender Total Security 2019 also blocks known infected links. Anti-fraud – Our advanced filtering system warns you every time you visit unauthorized websites, but not family-friendly sites, money-lending systems, and so on. Improved Password Manager – Store your passwords, credit card information and other sensitive data in a secure vault for easy access at any time. Password Manager allows you to automatically complete forms online and may even recommend secure passwords. 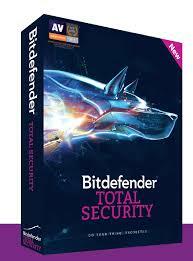 How to install Bitdefender Total Security? Launch a web browser from a computer connected to the Internet. Note: Select the computer you want to protect with Bitdefender. Type armor-install.com in the address bar of your web browser. Follow the on-screen instructions to install Bitdefender Total Security.